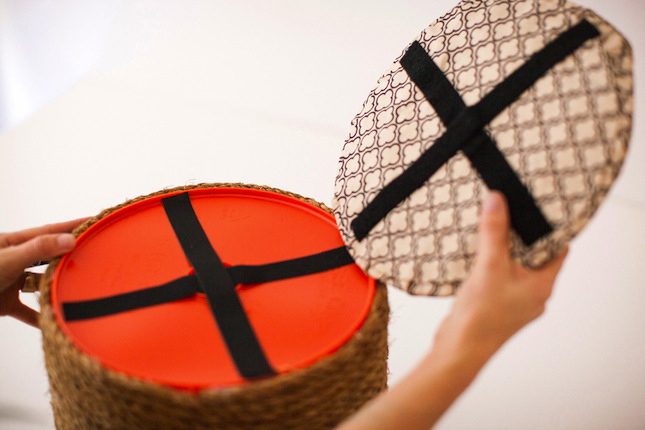 When the folks at The Home Depot® brought us in on the challenge to turn the iconic orange bucket into a chic piece of home decor, we signed right up! We knew we had a great team. After all, we love reinventing tools and materials you think you already know! 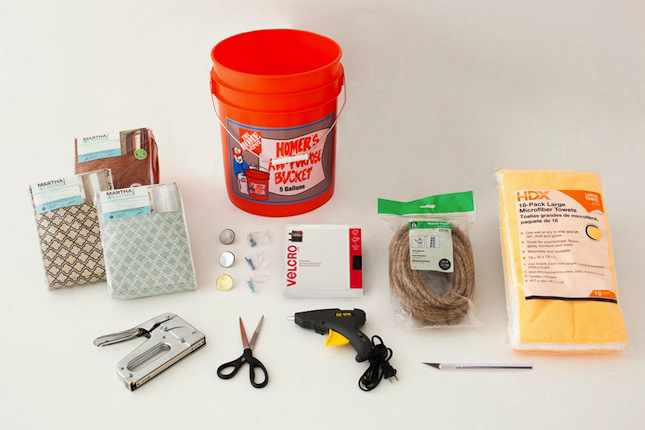 As you can see, our supplies came from just about every department at The Home Depot®. 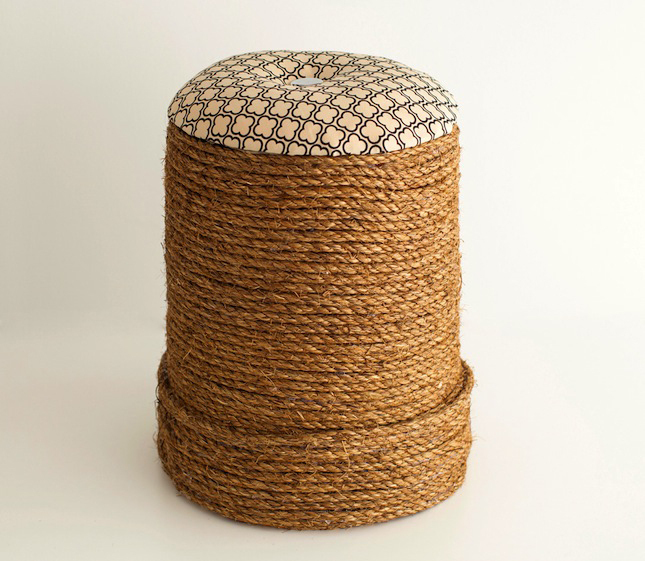 We love that you don’t need a sewing machine or any power tools to make this ottoman yours. 1. First thing to do is to remove the handle from your orange bucket. It should pop right out but if it sticks, grab some pliers and yank it out. 2. Next, we’ll cover the bucket by wrapping it with rope. 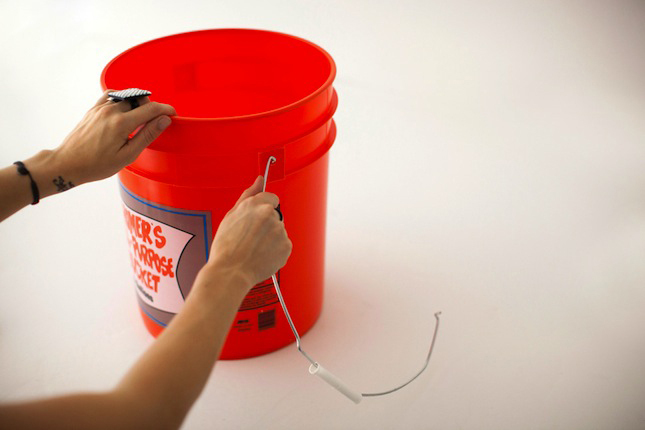 Start at the bottom and squeeze hot glue onto the rope, then press the rope onto the bucket. 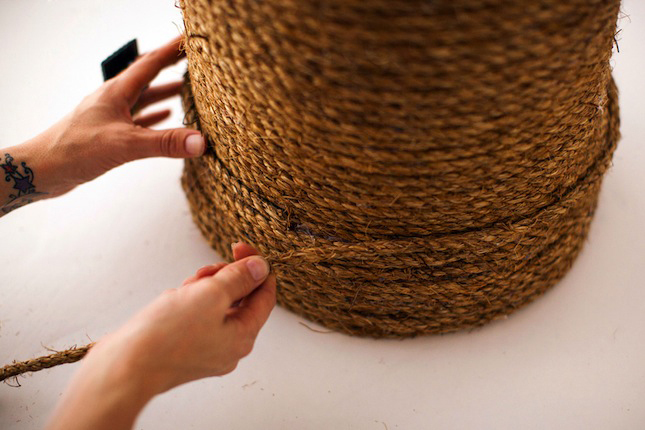 Keep wrapping, making sure each new row of rope is secured closely next to the previous row. You don’t want any orange peeking out! 3. 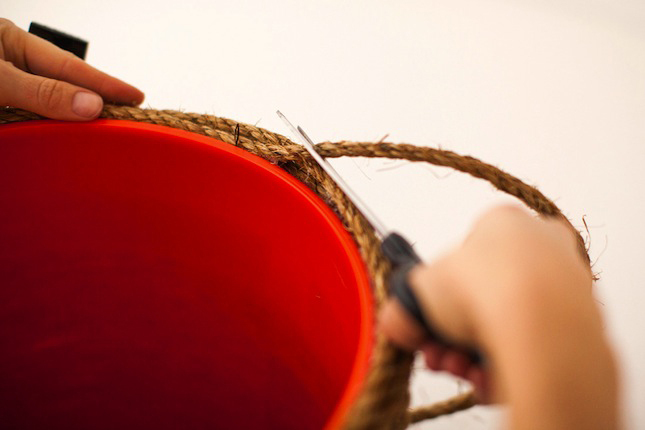 Trim the rope once you get to the top of the bucket. 4. 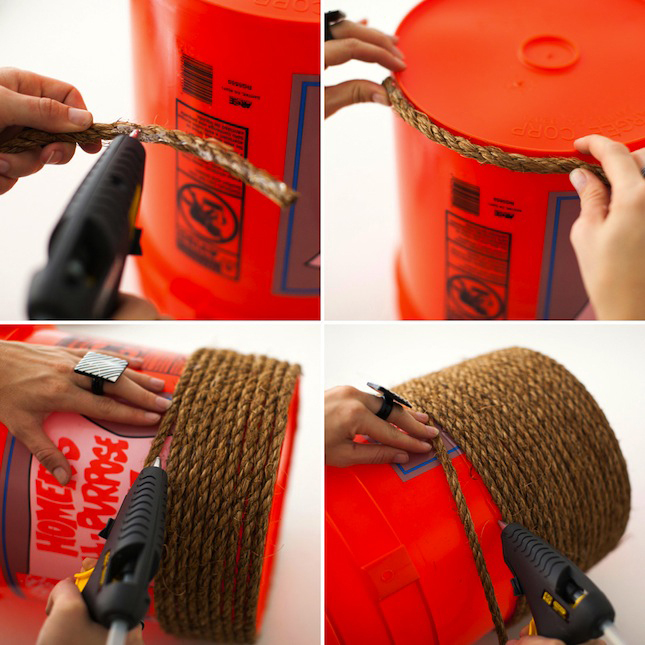 You’ll need an extra layer of rope or two to cover up the lip of your bucket. 5. Now, it’s time to create that cushion. 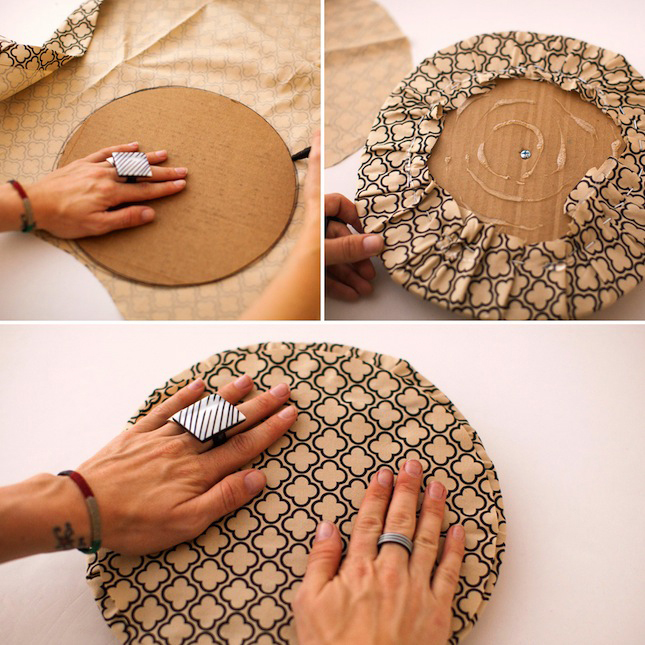 Start by creating a cardboard base. Trace the bottom of the bucket onto cardboard. Cut out. 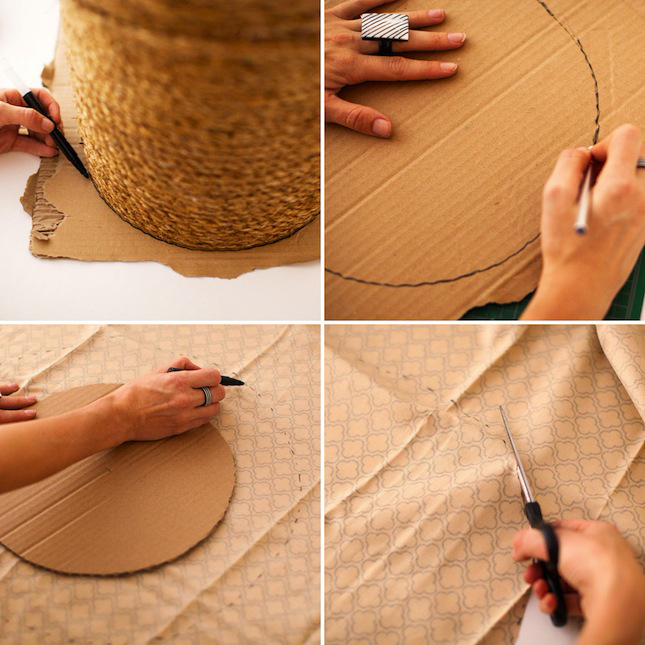 Place on your fabric and draw a circle that is three inches larger than the cardboard. Cut the fabric. 6. 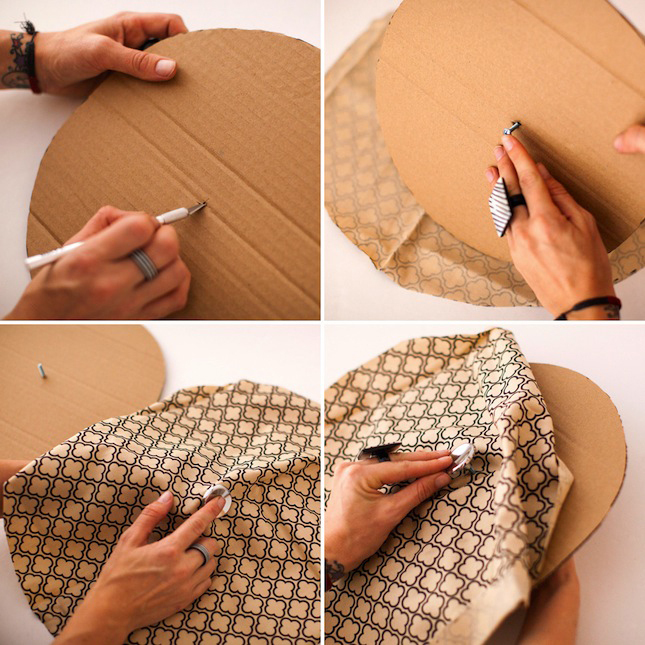 Use an xacto knife to pierce a hole in the middle of the cardboard. Grab a drawer knob, unscrew it, and place the screw end of through the cardboard. Place the fabric over that end, and screw on the knob. If your fabric is extremely thick, you might need to cut a little hole in the center of the fabric circle. 7. For stuffing, we used microfiber towels! 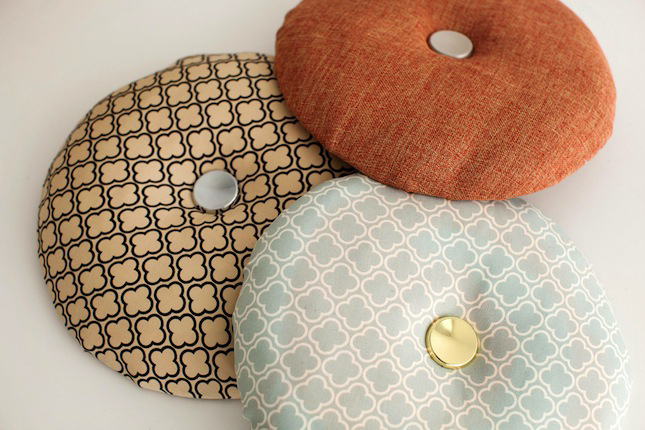 You could also use excess fabric or stuffing, but these have a nice cushion to them. Fold one up and wrap around the center of the fabric. Glue onto the cardboard. 8. Keep adding towels until you reach the edge of the cardboard. 9. 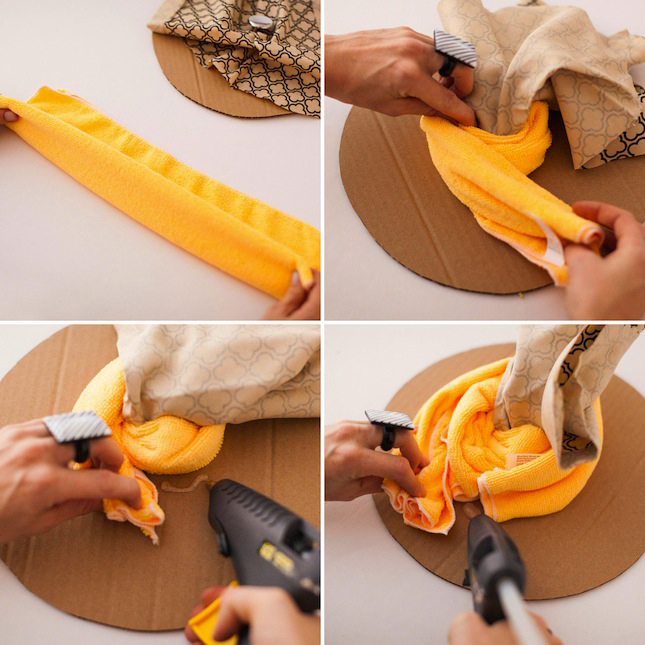 Pull the fabric over the towel cushion you’ve just created, and staple to the underside of the cardboard. 10. 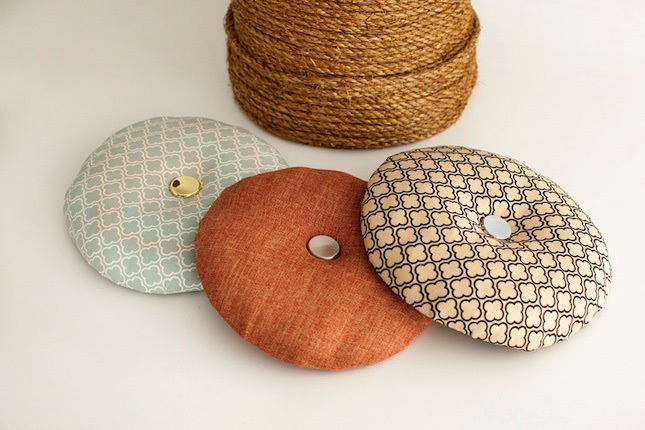 Cut a fabric circle that’s a little smaller than your cushion, and glue onto the back to cover up the stapled fabric and cardboard. Look at that clean seam! 11. 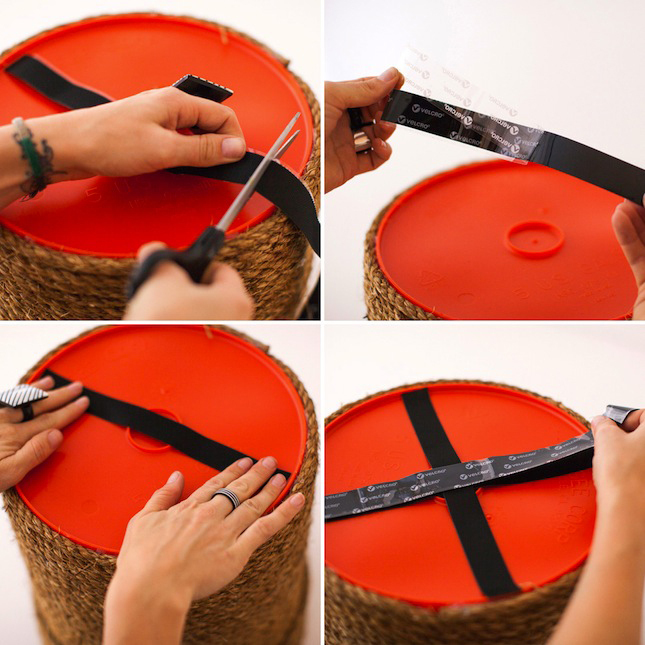 Head to the bucket and stick on VELCRO® Brand Sticky Back Tape. 12. 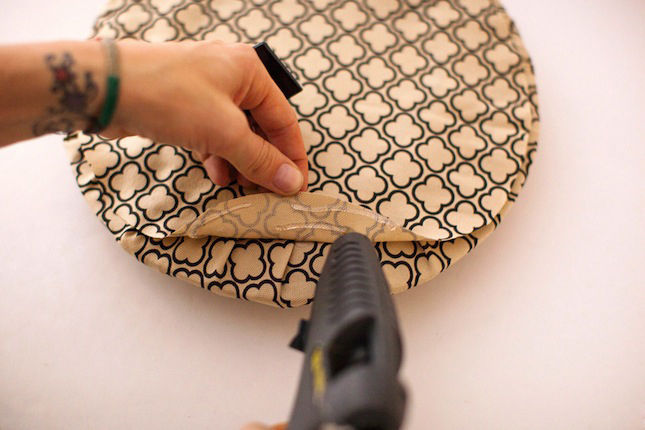 Peel off the other adhesive side and press your cushion onto the bucket. 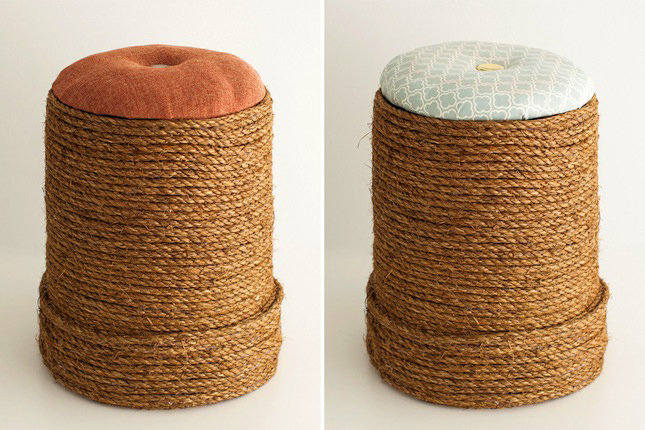 How stylin’ is this mini ottoman? 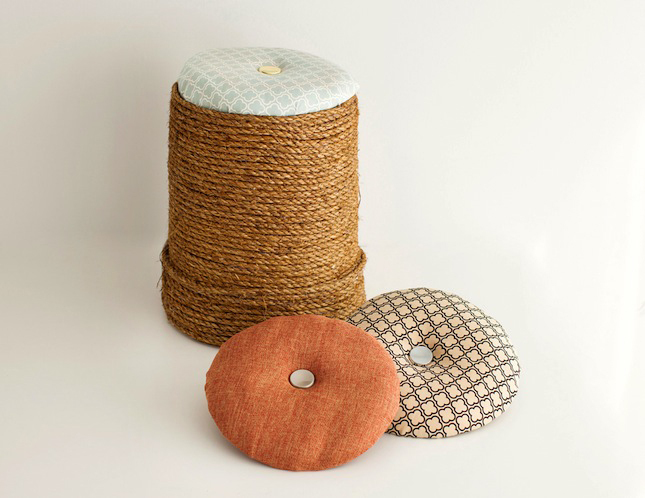 We created two more cushions using the same process. We love seeing all the patterns together. It’s like fall, winter, and summer! 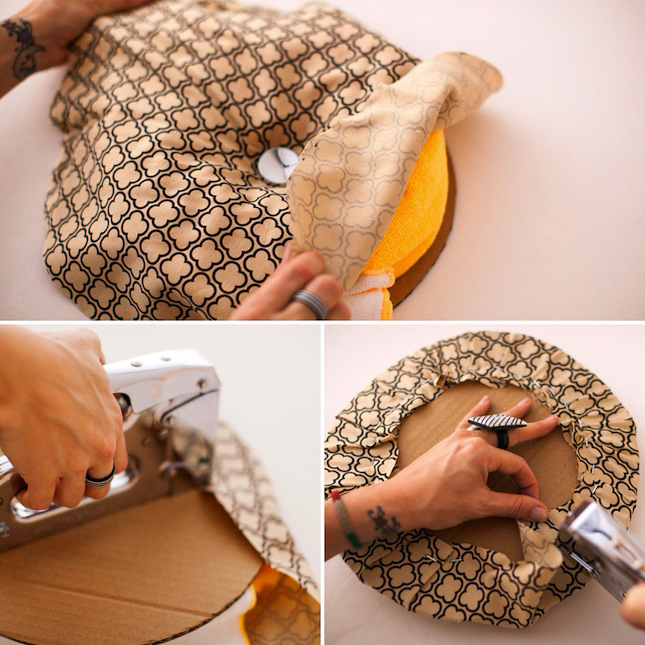 Note: If you don’t want to make a cushion from scratch, you can also stock up on cushions at your local The Home Depot® and simply attach VELCRO® Brand Sticky Back Tape to the bottom of them. Talk about a hack ?